I feel like it has been forever since my last review! I went to the Ugly Mug in Cape May when I was making my decision about this blog and creepily enough I kept all of my receipts and remember everything about that trip. I love going to the Mug. It’s such a local’s place which can be good or bad depending on whether or not you want a high school reunion that day. The Mug is a tiny place located in the heart of Cape May. The size is perfect for any day but Tuesday’s when they have their Terrible Tuesday’s (2 dollar Miller Lites). The Mug never has a cover which is also fantastic. One can always find a good source of entertainment here too. Whether it’s a local band or a DJ there is always something going on here. We’ve been having a great time the past few months exploring different bars. 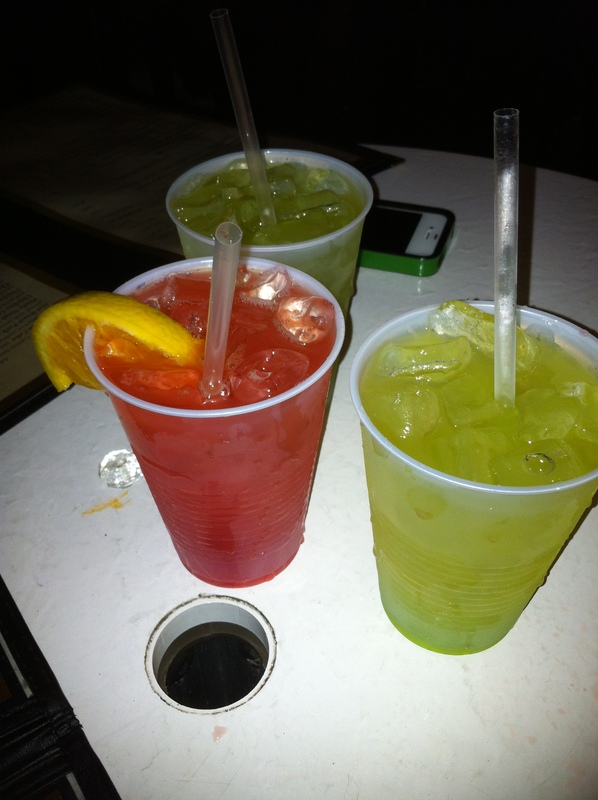 I love going out and sampling all types of drinks so everyone knows the best places to go in Cape May and Wildwood. However, I thought I would share this article that came out November 9, 2012. The article states that the closer one lives to the bar the more often one is prone to drinking. When they say close to the bar they mean within half a mile (aka walking distance). So, while I want us to go out and have fun I hope all my readers are drinking responsibly. Friday evening I went to Dogtooth in Wildwood. I’ve never been to the Dogtooth before so I went in with a completely open mind. I was pleasantly surprised with the decor. Certainly classier than the name leads on. It was “Name that Tune” night so the bar was completely crowded. I waited about an hour to find enough bar stools to fit my small party of three. My Cosmopolitan was also quite good. The DJ Gabe was great too. He literally played the most random assortment of music I’ve ever heard. Anything my friend requested he was more than willing to play. I wanted to dedicate this post to things I thought everyone should know before we begin our adventure so that we are all on the same page. I’ll take the time to explain what makes the perfect mixed drink, perfect bar food, and what overall makes for a great bar, etc! First let’s start with the perfect cocktail recipe. There is a secret to making the perfect libation. If the drink is too sweet do not count on many people ordering a second. On the other hand, when the bartender thinks they are helping out the customer by making the drink incredibly strong a second one is going to be ordered way later than normal. No one wants to choke down a Cosmopolitan. The perfect cocktail has three parts to it. The liquor, the sweet and the sour. Of course we can play around with these things but that is the basic cocktail.